The UK supermarket Iceland has announced it will remove palm oil from all its own brand products by the end of the year due to the belief there is no such thing as “sustainable” palm oil. Increasing demand for palm oil is still having devastating effects on wildlife, habitats and people where it is grown, and sustainable palm oil schemes are failing to mitigate these impacts. The supermarket is the first major UK supermarket to make such a move. Currently more than half of Iceland’s products contain palm oil – 130 products in total – ranging from biscuits to soap. Iceland has already stated it has managed to find alternative recipes for over half of the products. While other UK supermarket chains, including Tesco, Sainsburys, Morrisons and Waitrose, have pledged to only source sustainable palm oil certified by the Roundtable on Sustainable Palm Oil (RSPO) in their own brand products, Iceland has gone one step further by totally removing it. 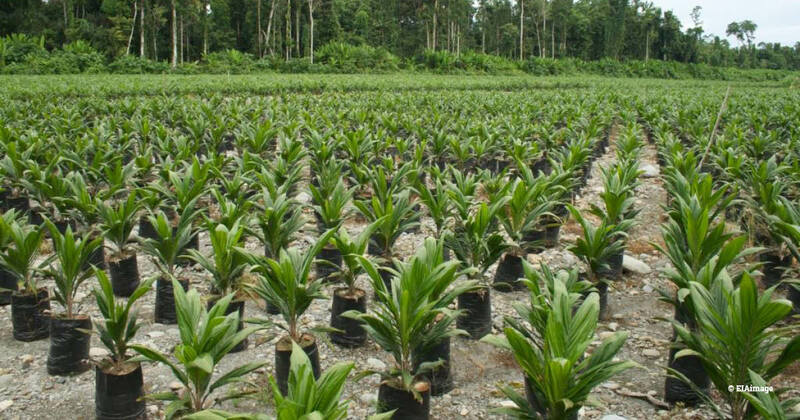 It states that it cannot guarantee palm oil is not causing rainforest destruction and believes that there is no such thing as “sustainable” palm oil. Earlier this year, researchers documented that 100,000 orangutans have been in lost in 16 years, partly due to land conversion to oil palm plantations. This announcement by Iceland recognises that certified sustainable palm oil is not delivering and cannot be said to be deforestation-free. It highlights that a more regulatory approach may be needed, like due diligence regulations requiring importers to avoid palm oil produced through deforestation. The European Commission recently outlined that such measures were feasible and it is anticipated that it will take action to combat deforestation more. However, until sustainable palm oil schemes improve their standards and credibility, it seems they may not be able to reassure retailers that “sustainable” palm oil does not cause forest destruction.